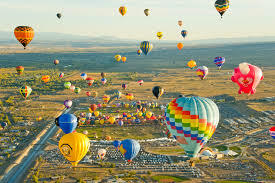 The QuickChek New Jersey Festival of Ballooning claims to be an annual 3-day event that is expected to feature up to 125 hot air balloons, vendors, concerts, crafters, and non-stop family entertainment. However, the sponsors and media managers of the show are hand picking media to cover the event. Media managers and sponsors of the New Jersey Festival of Ballooning have denied some of the most respected names in the world of media, including Thunder Radio, a new radio show that broadcasts out of South Jersey’s local station WNJC 1360am. Reason? They want favorable reviews and don’t want the media that’s not hand picked.The purpose — To control and discriminate against media so that the event is portrayed in a better light than it really is. Thunder Radio, which is appreciated by thousands of listeners and is well known for calling ‘a spade a spade’, even if it is not polite or pleasant. After all, listeners have the right to hear the real truth, the real story. That’s what the show is based on say’s Joe Kane host of Thunder Radio.